Protein powder can come in a variety of forms and flavors. The most popular types of protein powder are whey concentrate and whey protein isolate, egg white protein, milk protein isolate, micellar casein, soy protein isolate, pea protein, rice protein, and beef protein isolate. On top of that, all of these protein sources can come in a hundred different flavors. These flavors can be natural and artificial; it is up to the supplement company to decide what types of flavors and sweeteners they choose. The problem with adding flavoring to unflavored protein powder is that this reduces the quality. Here are some reasons to choose unflavored protein powder and unflavored whey protein powder over flavored protein powder. Believe it or not, some protein powders being sold today are only 60% protein, and rest is flavoring and fillers. That means if someone paid $50.00 for a 2 pound unit of protein powder, 40% of that is wasting money. That is why you want an unflavored protein powder. You can quickly determine the protein percentage. You want to look for a protein powder that is at least 85% or higher. Ninety percentage is high quality. To calculate the protein percentage of any protein powder you simply need a calculator. Then you divide the serving size by the servings of protein and in grams, and that will give you a number like 0.71 or something .89. Just move the decimal point over two places to the right, and that will provide you with 71% and 89% protein. Like I said, anything under 70% you probably want to avoid. Just for reference, whey protein concentrate is 80% protein or lower and whey protein isolate is 90% or higher. Most casein protein powders are 90% protein, and egg white protein powder is about 82% protein. This is all unflavored. If a supplement company adds flavoring to these protein powders, the protein percentage will go down because the flavoring is all carbs. Usually, chocolate flavored protein powder will have a lower protein percentage because a decent amount of cocoa is needed to make the chocolate flavor. Strawberry not so much because most supplement companies use artificial color Red 40. Unflavored protein powder does not have any harmful artificial colors like yellow #5. Yellow #5 is a chemical that has been shown in studies to cause cancer and other side effects. It is commonly found in banana flavoring, birthday cake, and lemon flavorings. Red #40 is another artificial color that is bad for your health. Red #40 is commonly found in flavors like strawberry, red velvet cake, raspberry, and birthday cake. When you buy an unflavored protein powder, you can mix it with whatever fruit, vegetable, or liquid you want. This is the way protein drinks are supposed to be consumed, and this is the healthiest way to consume them. Most people that buy protein powders are buying them to increase muscle mass and recovery from sports training or athletic activity. By mixing your unflavored protein powder with beets, kale, spinach, and ginger, you create the perfect post-workout shake as opposed to a flavored whey protein powder that only has protein and no carbs, anti-oxidant, or electrolytes. If you had a flavored protein powder like chocolate, you cannot mix vegetables with it. When you buy a flavored protein powder, you are limited to what you can make with it and you are stuck drinking the same thing over and over again day in and day out. 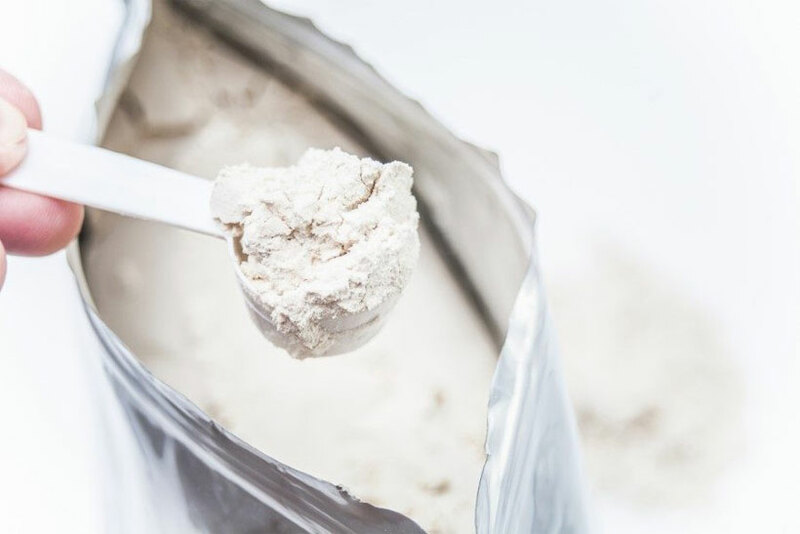 Unflavored protein powder enables you to create delicious meal replacement powders and weight gainers. Most replacement powders being sold on the market today and nothing more than whey protein concentrate, maltodextrin, vitamins and minerals, and artificial flavors and sweeteners. These are very low-quality ingredients and do not make for a very good meal replacement powder. When you buy an unflavored whey protein powder, you can easily create delicious meal replacement powders. For example, you can buy a native protein blend like, Proteinfactory.com’s Muscle Shake, oatmeal powder, flax oil, add some fruits and you have a very high-quality meal replacement powder. Much higher quality than typical MRP’s. As far as weight gainers go, you want to go with unflavored protein powder. 1 tsp of Creapure brand creatine monohydrate 5 grams. To get the best bang for your buck when it comes to quality and overall protein content, purchase and consume unflavored protein powder over flavored protein powder. You want to make sure you are buying protein powder and not flavoring, sweeteners, and added fillers. Buying unflavored protein also helps you overcome the attitude and habit of drinking a “protein shake” and all the added and often unhealthy fillers that your typical preflavored protein shake mix will include. 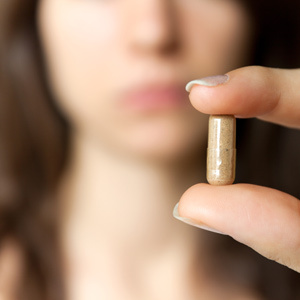 While they may be convenient, they are not the best choice when it comes to maximizing results. Protein DRINKS as I call them are the better and healthier choice because you can customize them to your own tastes and preferences by mixing natural ingredients in with your unflavored protein powder. These are super nutritious as they are loaded with naturally occurring vitamins, minerals, antioxidants, and other beneficial nutrients.